Marianne Goetsch experienced the many benefits of alternative medicine in her own life. In her approach to treatment she addresses the whole person including physical, emotional, mental and spiritual aspects. She is strongly committed to the practice and teaching of alternative medicine and has her own Practice since 1998. Marianne is a certified Master Teacher for Usui Shiki Ryoho, Komyo Reiki Kai, Colour Sound Therapy, Colour and Vibrational Therapy, and a basic Meditation Teacher. 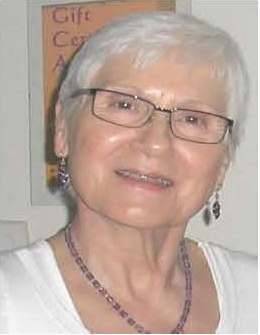 She also holds the following designations and offers them in her private practice: Reiki, Signature Cell Healing, Colour and Vibrational Therapy, Colour Sound Therapy, Light Ray Balancing, Shamanic Healing, Meditation, Foot- and Hand Reflexology, EFT (Emotional Freedom Technique), Ear Candling, Raindrop Technique, CCMBA/CCSMC (complete Cellular Mind Body Alignment/Soul Memory clearing), Ask & Receive (a simple, structured method to ask for and receive what you deserve in all areas of your life), Bach Flower Remedies for Human and Animals, Face, Scalp and Neck massages. Marianne received her training in Europe, North America and Japan. She is a member of the NHPC, CRA, KRKIA, CCA, Touchpoint Reflexology/Kinesthetics, and Dinshah Health Society USA. Marianne is also active involved in Health Shows, Health Fairs for students of the U of A, and Public Speaker about alternative medicine. She was chosen as a Reiki Master to participate with Reiki in a joint team work for an alternative Trial Study at the Stollery Hospital. Marianne organizes spiritual/educational Group trips to Japan (2009 & 2015) and Hawaii (2013). The new experience gathered in those spiritual/educational trips are life enrichments. Marianne hosts and organizes the Komyo Reiki Kai workshops given by a Japanese Reiki Teacher Hyakuten Inamoto in 2006, 2007, 2009, 2011, 2013, 2016. She also organizes and hosts a Reiki Sharing Circles every last Monday of a month.